1770-1836. He was born on 10 June 1770 at Marazion, Cornwall, the sixth and youngest son of an attorney, Humphrey Cole, and of his wife, Phillis Maugham. He was the younger brother of Captain Francis Cole, who earned fame in the frigate Révolutionnaire before dying at the early age of thirty-eight, of the Rev. Samuel Cole, who became the chaplain of the Royal Hospital at Greenwich, and of the Rev. John Cole, who was the domestic chaplain to the Duke of Clarence. Another brother, Humphrey, rose to the rank of major in the Army and died at Jamaica in 1796. Christopher Cole entered the navy in May 1780 aboard the Royal Oak 74, Captain Sir Digby Dent, on which vessel his elder brother John was the chaplain. Going out to North America, he followed Dent to the Raisonnable 64 in August when the Royal Oak became the flagship of Vice-Admiral Marriot Arbuthnot, and in October he joined the Russell 74, Commodore Sir Francis Drake, when the Raisonnable returned home. After Drake was elevated to flag rank Cole transferred with him to the Gibraltar 80, Captain Charles Knatchbull, and he served at the Battle of Fort Royal on 29 April 1781. Drake and Knatchbull then removed to the Princesa 70, and transferring with them Cole fought at the Battles of the Chesapeake on 5 September, St. Kitts on 25/26 January 1782, and the Saintes on 12 April. He continued as a midshipman following the peace, serving under his brother Francis aboard the Trepassey 14 in the West Indies and at Halifax from May 1783 until she was paid off in March of the following year. Further employment came on the Atalanta 16, Captain Thomas Foley, until early 1785, and the Winchelsea 32, Captain Edward Pellew, at Newfoundland from June 1786 to January 1789. On the recommendation of Drake Cole next joined the Crown 64, Captain James Cornwallis, flying the broad pennant of Commodore Hon. William Cornwallis, going out to India in February 1789, and later moving with the latter officer to the Minerva 38. Remaining in the East Indies he was an acting-lieutenant from June 1793 aboard the Bien Aimé 20, Captain Richard King, and on 18 September he was finally commissioned lieutenant, some four years after passing his examination for that rank. In October 1794, after returning to Europe, Cole was appointed the first lieutenant of the new frigate Cerberus 32, Captain John Drew, and in June 1795 he transferred to the Sans Pareil 80, Captain William Browell, the flagship of Rear-Admiral Lord Hugh Seymour in the Channel fleet. In 1799 Cole went out to the Leeward Isles aboard the frigate Tamar 38, Captain Thomas Western, as flag-lieutenant to Seymour who had been appointed the commander-in-chief of that station, and he later removed with Seymour to the Prince of Wales 98, Captain Adrian Renou. Following the capture of Surinam on 20 August Cole commissioned and took command of the captured 20-gun corvette Hussar, which was renamed after that colony. A successful period against the enemy privateers operating in the Leeward Islands followed, two captures being the Consolateur 1 on 24 March 1800 and the Renard 3 two days later. 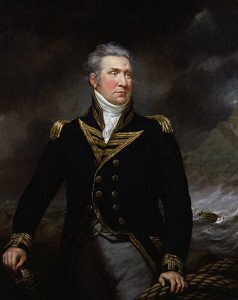 Having been promoted commander on 30 January 1800, he continued in the Leeward Islands as flag-captain to Rear-Admiral Sir John Duckworth aboard the Leviathan 74 from June 1801 until January 1802, and on 20 April 1802 his posting to captain was confirmed by the Admiralty. Upon joining the frigate Southampton 32, he brought her home to England where she was paid off at Portsmouth in September. On 4 July 1804 Cole was appointed flag-captain to Rear-Admiral Sir Edward Pellew aboard the Culloden 74, sailing for the East Indies six days later and reaching Pulo Penang on 27 November. On 25 September 1806 the Culloden captured the French corvette Emilien 18 off the mouth of the Ganges after a two day chase, this vessel having previously been the British Trincomale, and she later participated in the capture and destruction of thirty Dutch vessels at Batavia on 27 November. In March 1807, at his own request, Cole was given command of the eighteen-pounder frigate Doris 36, new off the stocks at Bombay, in which he continued to be employed on the East Indian station for the next couple of years. After delivering the new ambassador, Colonel John Malcolm, to the Persian court at Abashir his apparently fractious relationship with Pellew saw him receive a curt letter accusing him of leaving the Persian Gulf without orders to do so, although at the same time he received a £500 award from the governor-general of India for his service in the Gulf. Following the arrival of Pellew’s successor, Rear-Admiral William O’Brien Drury, the Doris was despatched to the Philippines during 1809 in company with the Psyche 36, Captain John Edgcumbe, to establish relations with the Spanish colony after Spain had rebelled against France. Off the coast of China they searched for two French frigates which were known to be in the vicinity, but in turn were driven out into the Pacific Ocean by the monsoon. With the crews being badly afflicted by scurvy and dysentery Cole had but fifty-eight fit men to assist him in anchoring his command upon her arrival in the Malacca Roads. In April 1810 he was appointed by Drury to the eighteen-pounder frigate Caroline 36, and was despatched to relieve the garrison at Amboyna, taking under his command the frigate Piedmontaise 30, Captain Charles Foote, a brig, and a transport carrying one hundred men of the Madras regiment. Departing India in May, he was off the island of Banda on 8 August where he decided to attempt the capture of the Dutch colony, authorisation to do so if he felt it expedient having previously been given by Vice-Admiral Drury. Commanding the boats of his tiny squadron, Cole effected the capture of Neira, the most prominent of the Banda Islands, on 9 August 1810 in a keen action that received a great deal of praise from his peers. In 1811, following the Caroline’s refit at Bombay, Cole completed the arrangements for the capture of Java after Vice-Admiral Drury, who had joined him off the Malabar coast, died. He was subordinated to Commodore William Broughton once the expedition set sail, and after Java had been captured on 18 November, during which operation Cole superintended the landing of the troops, he was sent home with despatches by Rear-Admiral Hon. Robert Stopford, who had himself superseded Broughton. In January 1812 the Caroline was paid off, whereupon her crew presented Cole with a one hundred-guinea sword prior to his departure. At a higher level of society the Prime Minister, Spencer Perceval, praised him in the House of Commons, and on 29 May 1812 he received the honour of a knighthood, this being supplemented by an honorary degree from Oxford University. From March 1813 Cole commanded the newly-built Rippon 74 in the Channel, and on 31 October, whilst in company with the Scylla 18, Captain Colin Macdonald, and the Royalist 18, Captain James John Gordon Bremer, he captured the French frigate Weser 40. In the following February the Rippon was present with the Menelaus 38, Captain Sir Peter Parker, at the re-capture of the Spanish treasure ship San Juan de-Baptista 20, which had previously been made a prize by the French frigates Atalante 40 and Terpsichore 40. As a result Cole was able to retire with his pocket well lined once the Rippon was paid off on 1 September 1814. On 2 January 1815 he became a K.C.B. and in the same year he was honoured by Russia and Austria. From 1817-18, and again from 1820-30, he was the M.P. for Glamorgan in his wife’s family interest, holding the seat for his stepson, Christopher Rice Mansel Talbot. He unfortunately incurred a great deal of hostility during the election campaigns, being described as ‘the tool of the Coal, Iron and Tin Company’, and even being stoned on one occasion. During this time he was a leading member of the establishment in South Wales. 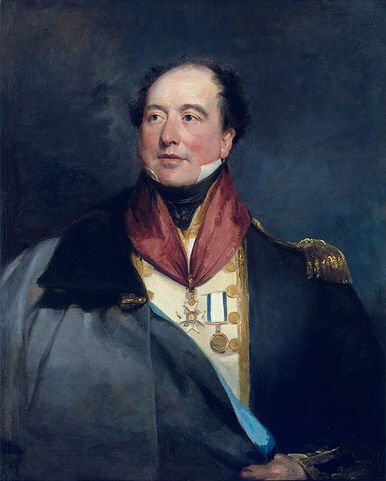 In 1828 he was appointed the commander of the yacht Royal Sovereign, and on 22 July 1830 he became a colonel of marines. Having left Castle Penrice, his wife’s seat, Cole purchased Lanelay near Llantrisant where he died on 24 August 1836. On 28 April 1815 he married an old acquaintance, Lady Mary Lucy Fox-Strangways, the daughter of the Earl of Ilchester, and widow from 1813 of Thomas Mansel Talbot of Castle Penrice, Glamorgan. They did not have any children together, although his wife did have issue from her first marriage. His stepson, Christopher Rice Mansel Talbot, succeeded Cole in the family seat, spent sixty years in Parliament in the Liberal interest, and had a steelworks town, Port Talbot, named after him. Cole was a protégé and friend of Admiral Lord Exmouth, who did much to further his career, and at various times he also enjoyed the patronage of Rear-Admiral Sir Francis Drake, Vice-Admiral Lord Hugh Seymour and Admiral Sir John Thomas Duckworth. He always took great care of his men’s health and welfare, and was described as pleasant with manners not normally displayed by those who had lived so long at sea. He made handsome contributions to religious causes, and it was estimated that he left behind a fortune of some £40,000 to £60,000, equivalent to over £5m in today’s money. His parliamentary career was an active one, although he accepted that his naval background made him a poor speaker. On occasion he would vote with the government, but he could equally vote against it, and accordingly he was praised in his constituency for his sincerity and independence. Campaigns that earned his support included the abolishment of flogging in the navy and the abolishment of colonial slavery, whilst he was also a frequent petitioner for local causes.